If you’d like to start eating healthier but don’t have time to cook, meal delivery services may be the perfect solution to your problem! Check out or objective Paleo Power Meals VS FreshDirect comparison to get a better idea of what these two services offer and determine which one is the right choice for you and your family. 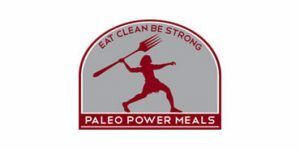 Paleo Power Meals provides a wide range of ready-made Paleo dishes made of natural ingredients, suitable for different healthy diets, and designed to help you get fit and stay in shape. Paleo Power Meals features one menu divided into several categories for your convenience. With Paleo Power Meals, you can choose from 50+ options on the menu. Paleo Power Meals offers Paleo breakfasts, lunches, dinners, and side dishes, as well as non-Paleo side dishes and bulk proteins and veggies. Its offer includes Whole30-compliant, keto-friendly, gluten-free, and low-carb meals suitable for weight loss. Its vegetable meals and sides are suitable for vegans. Paleo Power meals uses only natural, wholesome, sustainably sourced ingredients. It uses cage-free eggs, 100% grass-fed, grass-finished, Black-Angus-verified beef, antibiotic-free chicken, and local, sustainably harvested seafood. The meals are free from added sugars, processed foods, and additives. Paleo Power Meals provides breakfasts that usually contain 150-450 calories, lunches that normally have 300-600 calories, and dinners containing between 250 and 600 calories. Portion size is usually between 10 oz. and 14 oz. Bulk items come in 1 lb. packs. The meals are generally low in carbs and rich in proteins and healthy fats. To change your recurring order with Paleo Power Meals, you have to submit a new recurring order. You can cancel your recurring order in your account or contact the company for assistance. All orders must be placed before Thursday at midnight the week before your delivery is due. For any information about refunds, you should contact Paleo Power Meals directly. Love the flexibility, the meals are good, but they should really consider offering free shipping, at least on larger orders, the fees are astronomical. Honestly, I expected more for that kind of money. The portions really are large, but the meals are not that impressive. If a strict diet and all the time you spend at the gym are not yielding the desired results, maybe it is time to try Paleo Power Meals. This service offers Paleo meals designed to complement your workout and make the results of your efforts much more visible. Learn all about the menu, prices, and ordering options in our Paleo Power Meals review.